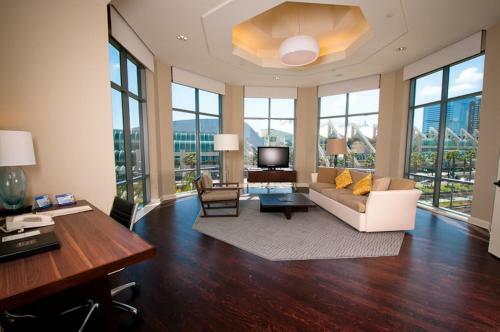 I prefer other gas lamp hotels because they are more centrally located. 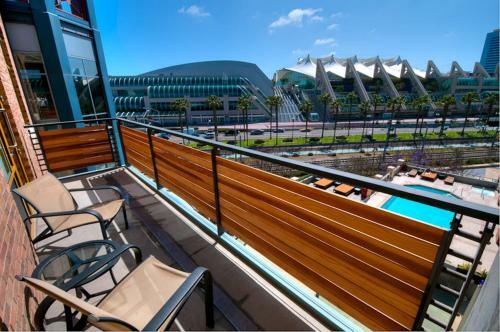 Although this would be great if I were attending something at the convention center. It's clean with a great location and a touch of luxury. Room Service was expensive 44 for breakfast for 2. Wonderful staff; outstanding buffet breakfast. Being walked my first night. 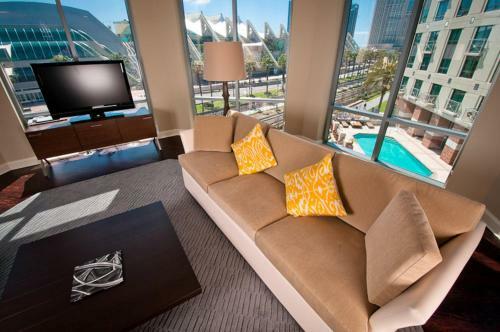 Conveniently located across the street from the San Diego Convention Center, Hilton San Diego is in the heart of the historic Gaslamp Quarter the home for more than 100 restaurants, art galeries and shopping centers. The business traveler, foreign visitor and weekend guest will have the city at the tips of the fingers.Luxury is the hotel´s main feature. 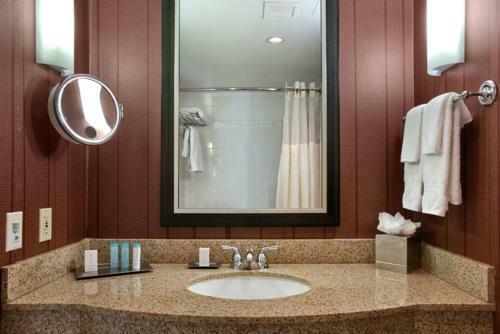 Great guest rooms and suites makes the stay a magnificent experience. 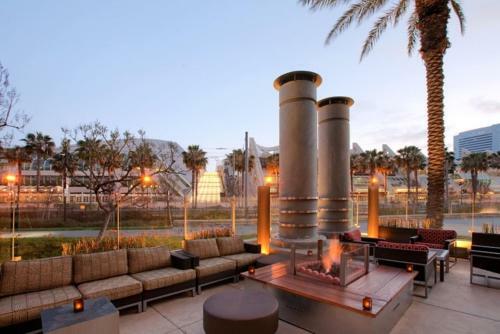 The majestic lounge with cocktail service and the restaurant serving exquisite innovative California cuisine completes this small glittering world. 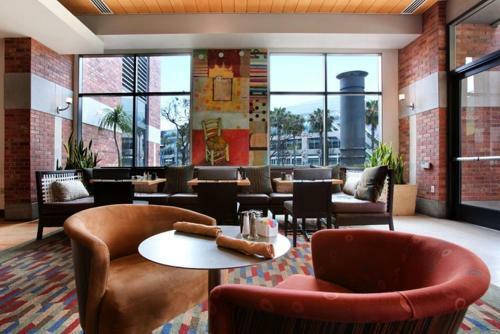 Those who prefer a more private experience, the hotel offers The Lofts at the 5th Avenue at the Hilton, lofts that provide a more personalized space within the hotel. 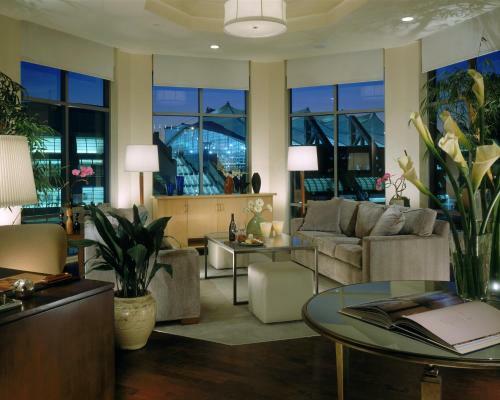 Rooms are luxurioulsy decorated. They all include one or two king beds. You can also find in the rooms: a coffee maker, a work desk, two phones with separate lines, high speed Internet access, Premier Cable TV. 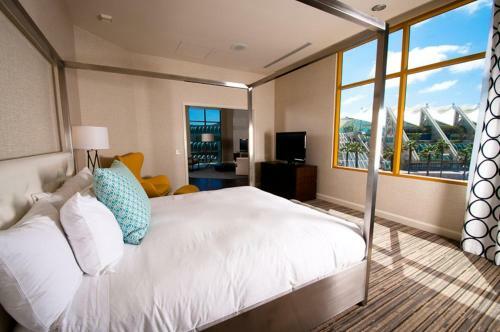 Enjoy the benefits of the minibar.The hotel also has suites that include the features of the room plus a living room space and a larger bathroom. 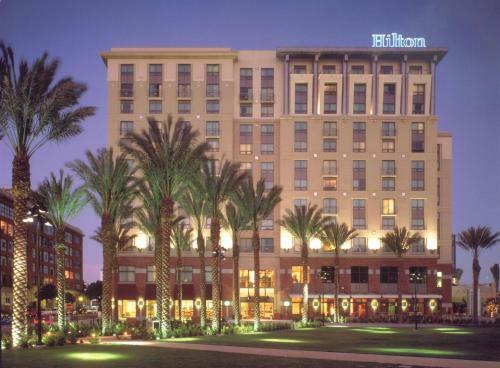 The hotel provides a business center, modem, meeting rooms, fax, video conferencing and photo copying services for business travelers. Parents won´t be disappointed as the hotel offers baby sitting services, children´s menu and crib in the rooms. 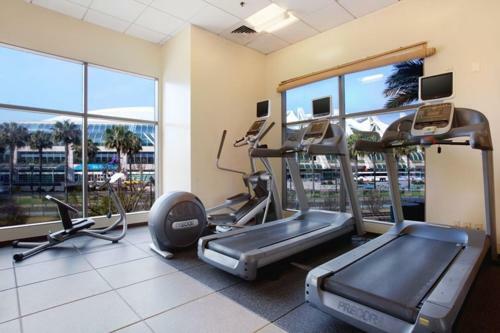 Don´t interupt your gym routines and try the fitness center or relax at the pool. The staff will help you in several languages. 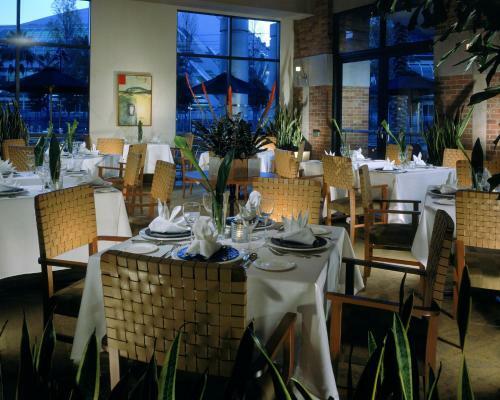 The hotel also houses a beauty salon and a restaurant with new California Cuisine. Room service is provided for breakfast, lunch and dinner. 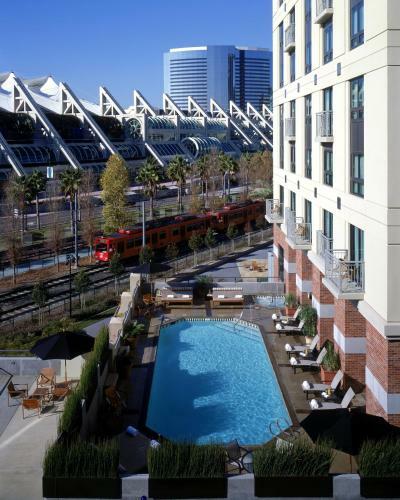 Across San Diego Convention Center and in the heart of San Diego´s historic downtown area, the hotel has a perfect location for business and vacation travelers. 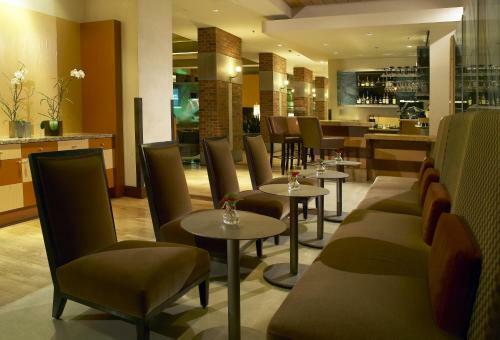 It provides a luxurious setting for business meetings in a more relaxed environment. 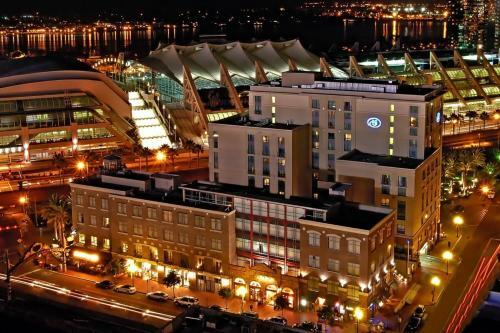 The hotel´s design is superb and modern. It follows the city renovation trend towards creating a cutting edge urban environment. The rooms are huge and beautifully designed. 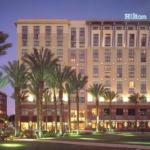 The Hilton Gaslamp Quarter places the stay in San Diego as one in America´s biggest metropolis.